The China Desk: I recently stumbled across the following item of black humor about “The Narcissism of Small Differences.” Founder of Psychoanalysis Sigmund Freud once noted that people often feel greater hostility towards those slightly different from them, than those dramatically different from them. Freud considered this an example of narcissism, because the emotional distress that individuals afflicted with the Narcissism of Small Differences is the result of looking into a mirror but seeing an intolerable blemish on one’s own face. Hence the incomprehensible and irrational hostility self-styled champions of a “Taiwanese, not Chinese ethnic and political identity” feel towards “Chinese” (i.e., fellow Chinese on either Taiwan or the Chinese mainland). The narcissism of small differences most often applies to politics, but one of the best jokes on the subject pertains to religion. I said: “Die, you heretic scum!” and pushed him over the railing. These shameless people will not succeed. They believe all Taiwanese think the same way they think. They are wrong. I am absolutely no less Taiwanese than any of these scumbags, and totally disagree with them. Dear Louis, Hear, hear. 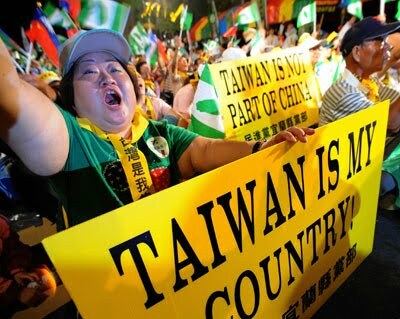 During the 2004 protests against Chen Shui-bian's shooting hoax, many "native Taiwanese" came up from the south and joined Taipei residents such as myself in protesting the Chen regime's election fraud. The solidarity between so-called "mainlanders" and "native Taiwanese" was deeply moving. We were all defenders of the Republic of China, and the enduring traditional Chinese values of 禮義廉恥. The simple fact is that the Republic of China IS China. Republic of China citizens are Chinese. 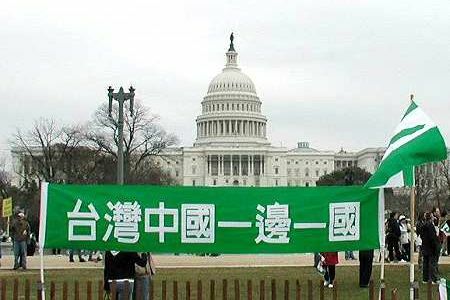 Being Chinese has nothing to do with Chinese Communist Party rule. Chinese on Taiwan and the Chinese mainland were Chinese before the Chinese Communist Party took over, and we will be Chinese long after the Chinese Communist Party is gone. Being Chinese is a cultural and civilizational issue, not a political issue. Hehe, that lady in the 2nd photo look totally Cantonese. She dimsums too much, just look at her.She should protest for being mistaken for Jabba the Hutt.